Have you tried Holey Donuts? They sell low fat cinnamon rolls and donuts in a number of scrumptious flavors, and they are abosolutely delicious. A while back I had a chance to try their cinnamon rolls, and I became an instant fan of this company. Since then I’ve been dying to try their Reduced Fat Boston Cream Oreo Cookie and their Low Fat Chocolate Chip! Giveaway! 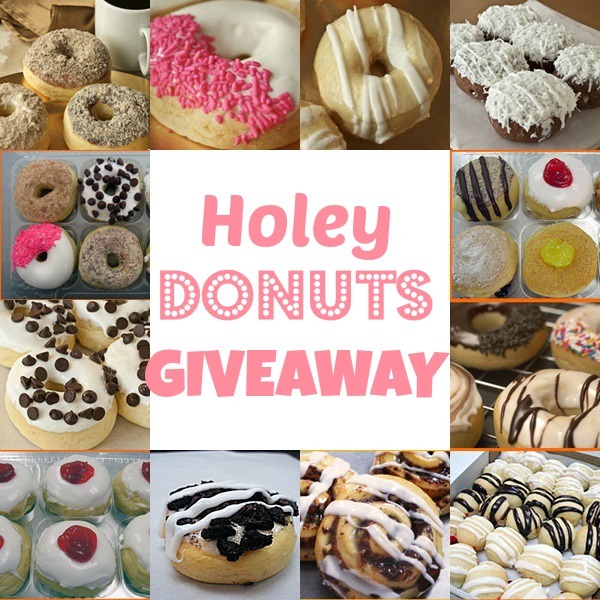 This week I’m excited to give my readers the chance to win not one but 5 assortments of Holey Donuts, a $150 value! How to enter: For this giveaway, you will need to send an email to info@holeydonuts.net with my blog name: Simply Sweet Home in the subject line, and the state you live in typed in the body of the email. That’sit! Very easy! 2nd Entry – If you’d like a second entry in the contest simply liking Holey Donuts on Facebook. Then leave a comment on their page saying why you’d like to win the giveaway, and tell them that Simply Sweet Home sent you. You must mention my blog name for your entries to count. The contest will run through September 10, and ten winners will be selected! Good luck!